You'll explore and learn at Australian National Maritime Museum and Art Gallery of New South Wales. Do your shopping at Sydney Fish Market and Brett Whiteley Studio. 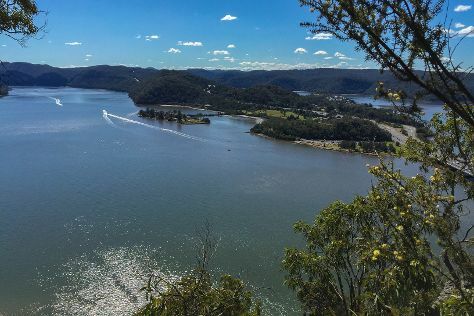 Change things up with these side-trips from Sydney: Norman Lindsay Gallery & Museum (in Faulconbridge), Logan Brae Orchard (in Blackheath) and Coachwood Glen Nature Trail (in Megalong Valley). Spend the 5th (Wed) wandering through the wild on a nature and wildlife tour. The adventure continues: get to know the fascinating history of The Rocks, identify plant and animal life at Hawthorne Canal Reserve, snap pictures at Sydney Harbour Bridge, and don't miss a visit to Sydney Opera House. To find traveler tips, reviews, photos, and other tourist information, refer to the Sydney road trip planning site . If you are flying in from United States, the closest major airport is Sydney Kingsford Smith International Airport. Expect a daytime high around 70°F in May, and nighttime lows around 54°F. Wrap up your sightseeing on the 6th (Thu) to allow time to travel back home.